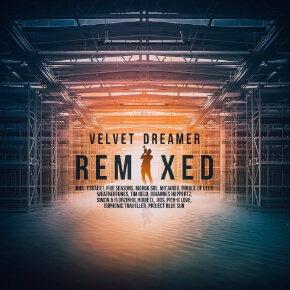 Velvet Dreamer is trumpet player and music producer Tim Gelo from Berlin, Germany. After the successful release of his first 2 albums on the label Lemongrassmusic he now presents a remix album derived from these two albums „Last Kiss Of Summer“ (2013) and „Eternal Beauty“ (2015). 12 remixers gave their personal treatment to the 15 tracks: Simon&Florzinho, Mo’jardo, Marga Sol, Euphonic Traveller, Five Seasons…. just to name a few. The result is an outstanding modern and sunny album just right for soulful lounging.